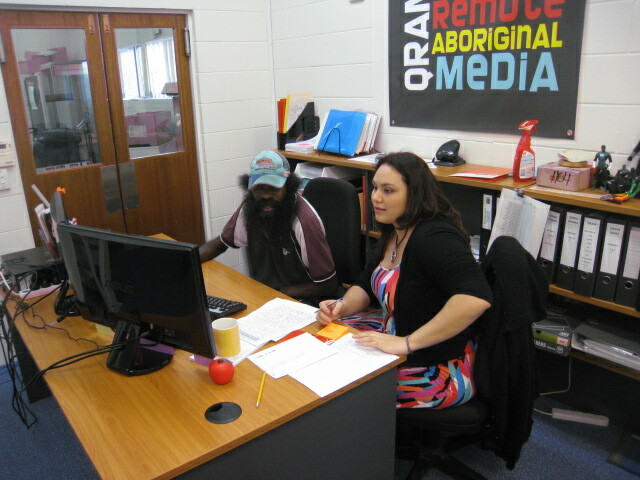 The star of the QRAM TAFE broadcast training course is Sticks from Pormpuraaw Radio. I asked Sticks how he got his name. ‘In Aboriginal culture” he said, “when a relative of the same name passes away, then his name is not allowed to be spoken. And me with the same name as my cousin brother, they named me Sticks. That is culture way” said Sticks. Sticks was born in Cairns with Cerebral Palsy and grew up in Pormpuraaw. He has been in Pormpuraaw all of his life and he is well known by everyone in the community. Cerebral palsy (CP) is a group of progressive, non-contagious motor conditions that cause physical disability in human development, chiefly affecting a person’s movement. 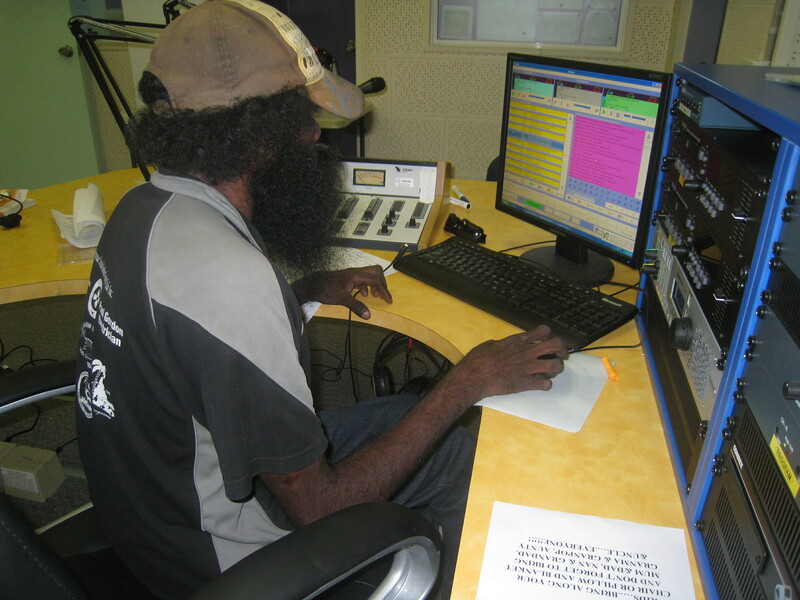 Sticks has finally found something he loves doing – radio broadcasting. The local JobFind put out a flyer asking for people interested in broadcasting. Sticks saw the flyer and thought “I can do that” and approached the CDO in Pormpuraaw, Nick Maxwell. Nick then signed Sticks up and the rest is history. Sticks has taken to the job like a duck to water. He is a role model and loves his job, he is enthusiastic, the community love his style and the music and information he provides. Sticks loves all genres of music, reggae, rock, pop, and the occasional country track. Sticks has taken to the training course very well, he never gave up when the course got tough. TAFE have worked closely with him and have provided assistance with a literacy and numeracy trainer. Sticks is first in the training room and last to leave.